Peer-to-Peer lending (or P2P), is a relatively new asset class in the world of finance that has gained traction within the last decade. Most recently, the past 5 years have seen an explosion of p2p lending platforms offering different investment options, rates of return, business models and the assets they invest in. As the baby of the alternative finance world, Peer-to-peer lending platforms have paved the way to a fair and competitive marketplace that challenges the traditional monopolization held by the high-street bank giants. The banking landscape has undergone a major shift where an individual person, like you, can now become the lender and earn the exciting interest rates that were previously not accessible to anyone outside of institutions. Do you need to have a financial background to take part? No. Do you need access to huge amounts of cash to get started? Nope. Do you need any special licenses? Absolutely not. Let’s review 4 risks you should know about Peer-to-Peer lending, whether you’re a complete beginner or a P2P veteran. Credit modelling is the backbone of any P2P lender, regardless of whether they issue unsecured loans, business loans or asset-backed loans. If a platform can ensure they have a reliable and efficient system that accurately assesses the risk of a borrower defaulting on a loan, then they can assign to them a fair interest rate that matches their risk and set expectations with investors with different appetites for volatility. As a result, the platform can build trust with both parties by offering a competitive interest rate to borrowers and an impressive net return to investors. Typically, main stream banks use the standard credit referencing agencies as a sole source of information on a borrower’s credit-worthiness due to the ease of access and cost efficiency. On the other hand, Bondora uses a proprietary credit modelling system that uses traditional data such as the credit referencing agencies, population registries, employment records and also non-traditional data like social media, national identity card data, how borrowers interact with our website and 100’s of more data points. Unfortunately, despite having an efficient credit model, from time to time a borrower may fall behind with their monthly repayments. This can be for a number of reasons, like losing their job or a significant change in their personal circumstances. What happens next is important, because a platform may decide to sell these defaulted loans on to a debt collection company at a loss, or they may try to recover the money owed by themselves. Before investing with a specific P2P platform, it’s important you are aware of the strategy they use to collect money from defaulted loans and if you are comfortable with this. 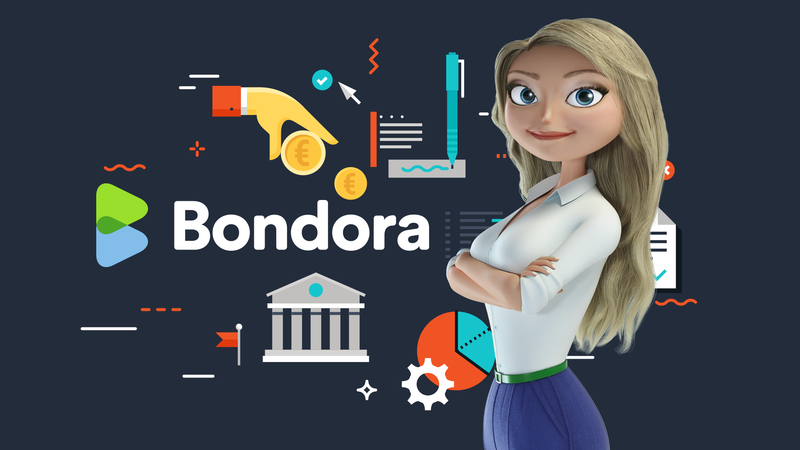 At Bondora, we have created a clear 3-step collection and recovery process where the bottom line is to secure the maximum amount of cash possible that is owed to an investor. You can read more about this here. Regulation, financial performance, cybersecurity and due diligence all come in to play here. It’s possible that your platform of choice may only be regulated within the country where they are based, with the rights to operate within the European Economic Area. A simple Google search should be sufficient here, as you can usually find a government website with the public listing of companies and their current regulatory status. Whilst often overlooked, the profitability of a P2P platform should be a point of interest for any potential investor. If the platform itself is profitable, their financial security should give investors’ confidence that they will not be going bankrupt any time soon and their investments are safe. Most companies will publish their financial reports themselves, although similar to their regulatory status, this is likely to be available online through a local government portal. Arguably, you are your own biggest risk when it comes to your investments. Occasionally, we see investors who want to boost their returns to a level higher than what is quoted by our automated investment products. Most of the time, this is in the form of manually buying and selling loans on the Secondary Market in an attempt to “trade to the top”. Usually, this results in a lower return (or even a loss) compared to what is offered by the Portfolio Manager and Portfolio Pro tools. Granted, this type of psychological risk is more common with trading stocks and shares, however if you do not know what you are doing then you should rely on the popular automated tools provided by most platforms. In truth, this also defeats the purpose of passive investing, one of the biggest and most valuable advantages of P2P. Take advantage of the advanced and reliable technology available, then you can kick back and relax while you make your money work for you.